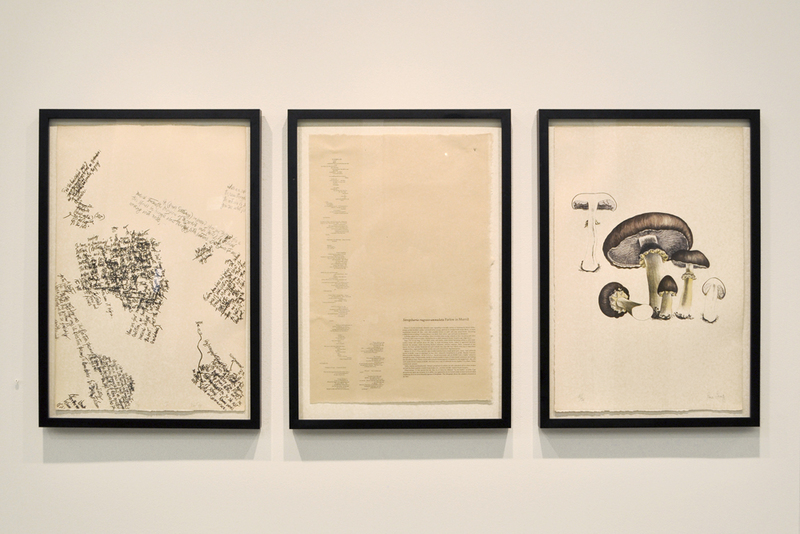 This exhibition of plant-inspired artworks by John Cage (1912-1992) examined how he applied his chance operations to the natural world. Cage was already well established as a pioneering composer when he became fascinated with mushrooms in the 1950s, but he was so committed to this pursuit that he co-founded the present incarnation of the New York Mycological Society. 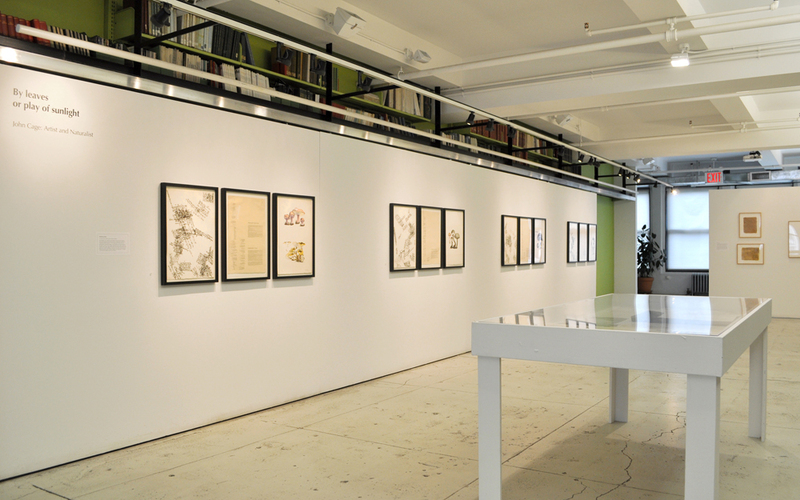 The centerpiece of this exhibition was Mushroom Book (1972), a portfolio of lithographs created with mycologist Alexander H. Smith and artist Lois Long, whose botanical illustrations offer a stark contrast to Cage’s prints of overlapping handwritten texts. 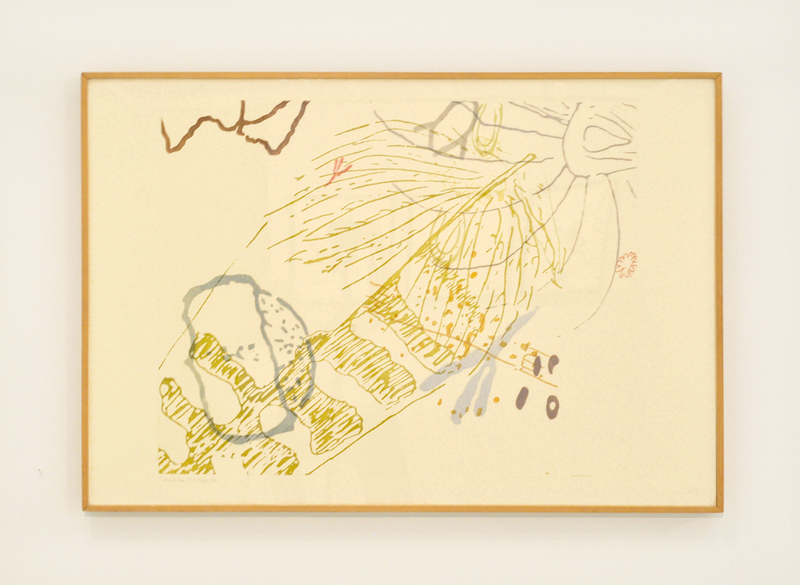 Nature was central to Cage’s visual art practice and his works included such natural materials as river rocks, smoke, and foraged plants. In addition to his study of mushrooms, he found particular inspiration in herbal medicine and the writings of Henry David Thoreau. 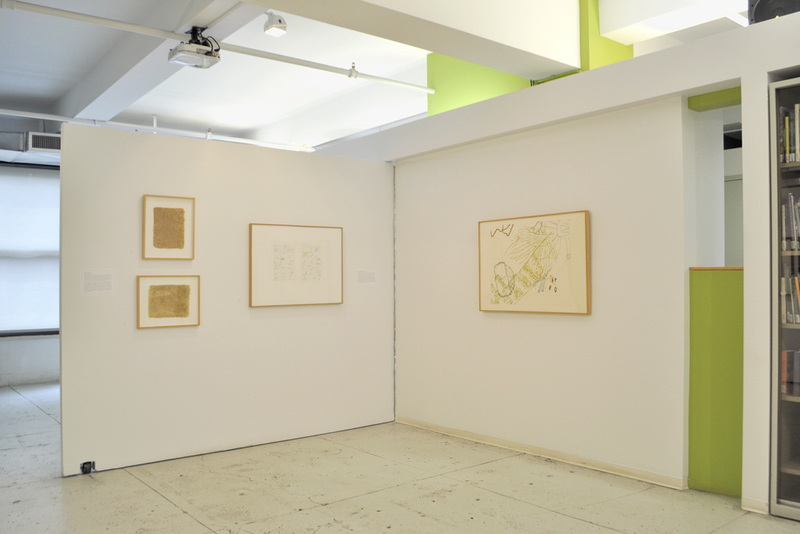 The exhibition also included prints that incorporate Thoreau’s drawings and selections from Edible Drawings (1990), a series of handmade papers made with ingredients from the artist’s macrobiotic diet.